I created a tripod stand for my phone and took it outside late at night. I filmed the dark night sky but decided to add some drama by making wind sounds with my mouth. I am a man of many talents. I think. At my last job, I would always sit on top of the picnic table outside. This apparently annoyed the secretary, and rather than speaking to me she made a sign on colorful paper that said: “No Sitting On The Table”. After weeks in the sun, I noticed the once colorful sign was now losing its vibrancy. This gave me the idea to use this un-archival-ness as a photographic process. 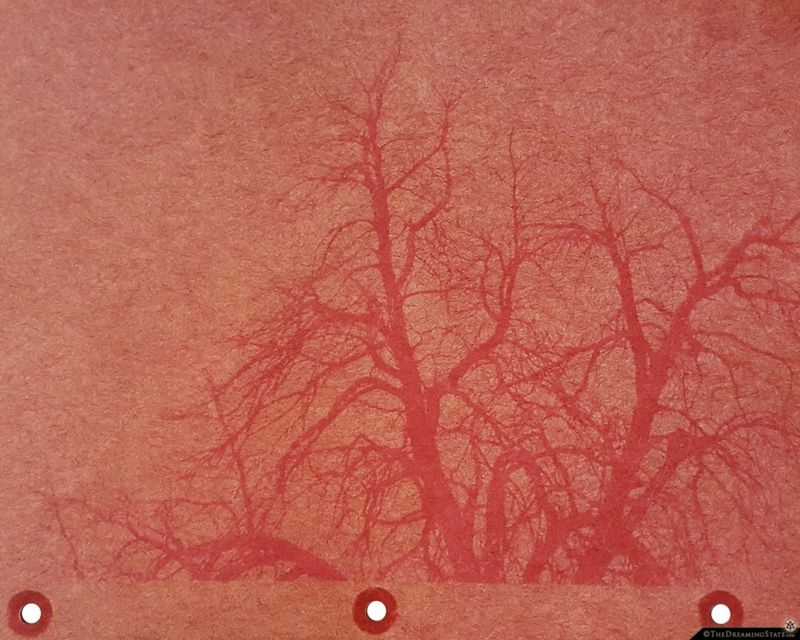 I scanned a 4×5 negative of a tree, made a positive print on transparency paper, then placed it inside a frame atop of a piece of red construction paper… Over the past few days I kept the paper in direct sunlight for 30 hours. 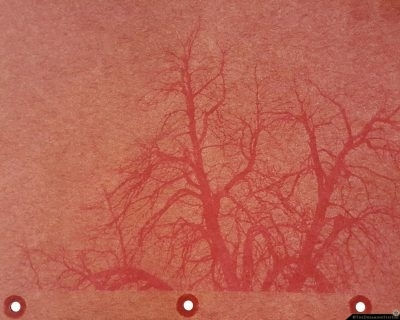 The sun burned some of the color away but kept the parts that were covered, creating a photographic print using only the sun. I thought I had created a simple process, but of course, nothing is new. After searching the internet I found that this is not only a fairly common process, but it is a craft to teach kids. So basically I discovered a kids craft and thought I was a genius. 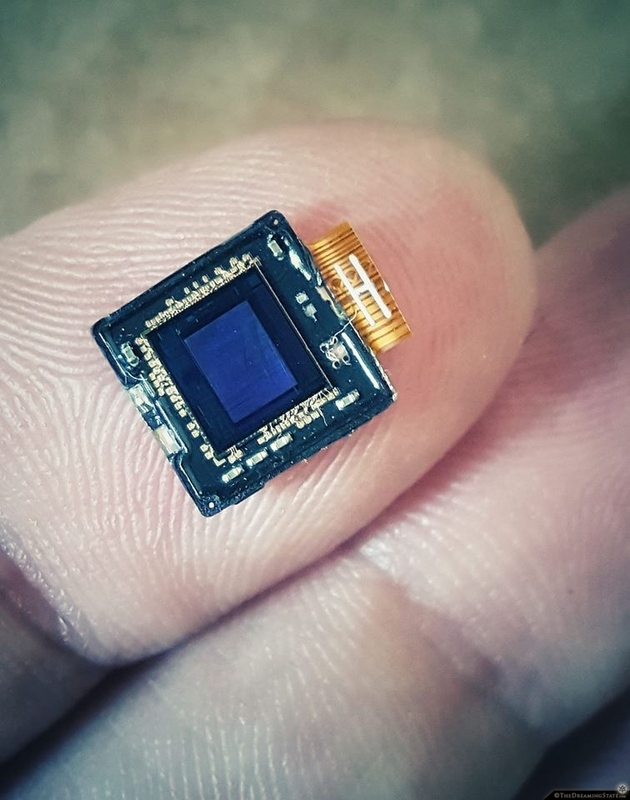 This is the size of the camera sensor on your mobile phone… I ripped apart an old phone, curious about its tiny technology. I was amazed at the small size of all the components. As a photographer, of course, I was mostly blown away by the camera sensor. Crazy how something this small can captures such amazing detail. A whole sunset over a city can fit on that thing!